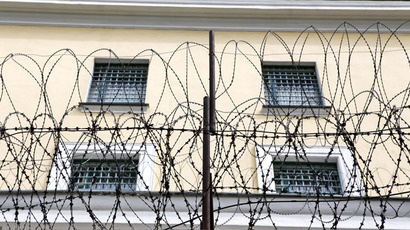 Justice authorities said late on Monday that two inmates – identified by Bild as Saldiray D., 44 and Domenique B., 21 – had made it out of the Ploetzensee prison in Berlin. The revelation came after the prison guard found that the two men were missing during an evening roll call. The escapees managed to get into a neighboring cell overnight, and then broke free by cutting the window grid. The alarm was sounded more than half an hour after it emerged that the prisoners had fled Ploetzensee, but to no avail. One of the escapees later returned to the prison. Just two days previously, five Ploetzensee prisoners escaped. Four managed to break through a wall through skillful use of an angle grinder. According to justice authorities, the quartet had reported as usual for morning duties along with other inmates at the prison’s car workshop under the oversight of three guards. The escapees then entered a heating room – usually kept locked – and managed to crush a reinforced concrete post in a ventilation gap with a hammer. The four – aged between 27 and 38 years and serving jail terms for theft, bodily harm and extortion – then severed metal rods using an electric-powered angle grinder, according to Deutsche Welle. Ironically, their escape was going on under the watchful eye of CCTV cameras which filmed the prison break for well over three minutes, according to the DPA news agency. Miraculously enough, they went unnoticed in the prison’s control room. Later in the day, it emerged that another prisoner had not reported for roll-call, thus raising the total number of escapees to five. 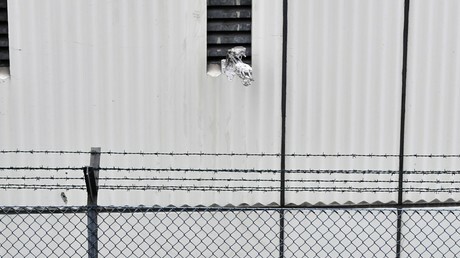 Multiple jailbreaks prompted some politicians to voice unease over the situation at Ploetzensee prison. Marcel Luthe, a Free Democratic Party (FDP) MP in charge of domestic affairs said the prison turned into “a house of open doors,” according to Spiegel. He demanded that Dirk Behrendt, Berlin’s justice senator, step down over the incidents. Roughly 360 prisoners are serving terms in the jail, which was built at the end of 19th century and became notorious under the Nazis. After Hitler seized power 3,000 people were executed there – by the noose or the guillotine – including prominent members of the anti-fascist resistance movement.